1. As I mentioned last Friday, I spent a weekend at the beach with some of my best friends (2 from law school and 1 from undergrad). You probably know by now how much I love Tides Folly Beach, and if you don’t, check it out here. Last morning on the beach. 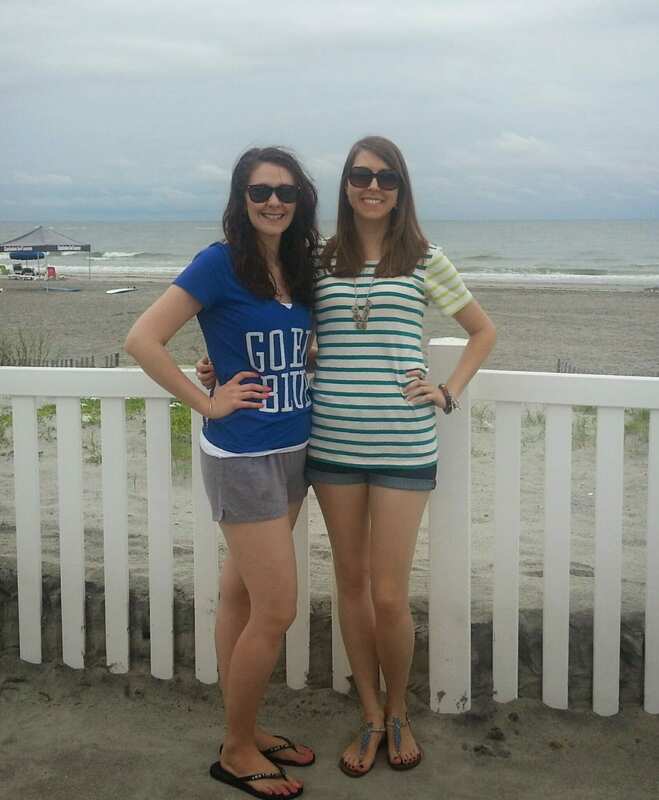 I ALWAYS take a picture in a UK shirt on the beach before I head home! We all had a great time, with a healthy mix of beach and historical places. Yes, I’m a history nerd and a beach bum! If you missed my post about Boone Hall Plantation, you can catch that here. I’ll also be posting about Drayton Hall in the next week or so. In the meantime, check out this awesome house/bed & breakfast along the Battery in Downtown Charleston–totally swoon-worthy! 2. I was so excited to get home and see Chauncey, Kane, and my cats! I needed the getaway, but the best part is always coming home. 3. I left summer on Sunday morning and drove straight home to fall on Sunday night! It’s been cooler in the Bluegrass, which means I’ve gotten to break out some new fall clothes that I picked up in Charleston. Shirt: Old Navy, unavailable online (similar). Loafers: Coach Outlet, $41 (gift from my mom last year). 4. Since the weather is turning cool, my friend and I took advantage of the sunny day yesterday and had lunch on the patio of Old Chicago. Great food and a nice breeze! 5. Walmart is launching a seasonly beauty box 4 times a year! The box is free, you just pay $5 for shipping. I know that everyone was really sad to miss out on Target’s last beauty bag, so I hope you all get in on this deal! Thanks to Della Devoted for the heads-up! Before you go, I’d like to take the time to thank you for stopping by. Wednesday was my 6-month bloggerversary! I’m so thankful for each and every one of my readers, as well as the new friends I’ve made along the way! I've never been to Charleston. That pink bed and breakfast home looks amazing! Love your animal print top with the bright pink accessories! Happy Blog Anniversary! I share you love of historical architecture. I sometimes drive around downtown where I live just to look at the houses. They are all so amazing! Hey that's cool about the walmart beauty box! And I'm seriously still so jealous of your charleston get away! We just booked our plans for a trip in May for one of my besties weddings down there!! 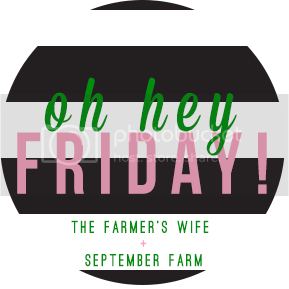 It's the same weekend as our anniversary so the hubs and I are going to try to sneak in a date night while we're there! I really like the pink shoes! I really want to go back to Charleston…hopefully June! Thanks for the tip about the Wal-Mart box. Off to order it now! Love your outfit…the shoes are perfection! I actually live in Charleston, well in suburb on outside of it. Love love downtown! Found your space through the link up and loving it 🙂 Following you on Bloglovin now. Have a great week! 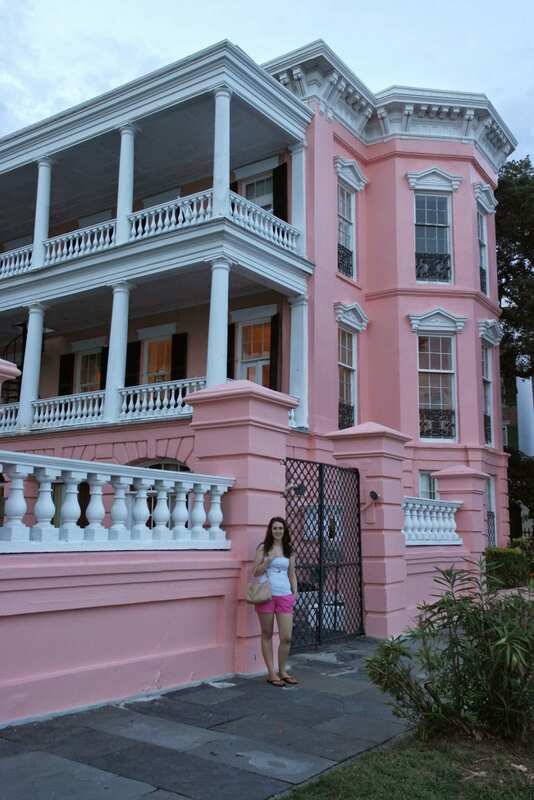 That bed and breakfast is a gorgeous building, Hello PINK!! I love your fall outfit especially the necklace and it's cheaaaap- even better! Jill, you should try to make it down that way sometime! I was excited to find the animal print top for cheap:) Thanks, friend! Oooo–sounds like fun, Joey! Be sure to click the link above for more info about Folly Beach (which has a link to my post about downtown Charleston). Both posts are full of suggestions for things to do and places to eat. And I'm excited about the Walmart beauty box! Thanks, Brianne! My mom got them for me for my birthday last year. I was just down there in June of this year, and it's definitely worth going back, isn't it?! Nichole, I highly recommend it! Be sure to click the link above for my review of Folly Beach, which in turn has a link to my review of Downtown Charleston. I think it'll make your decision pretty easy! Thanks! The shoes are some of my all time favs! Girl, the cheaper the better! And that building is amazing–I'm in love with it!